A bouquet of flowers can say a great deal to a person that you care about. Fresh and full of life, flowers are the perfect way to tell a person that they are on your mind and that you care about them. 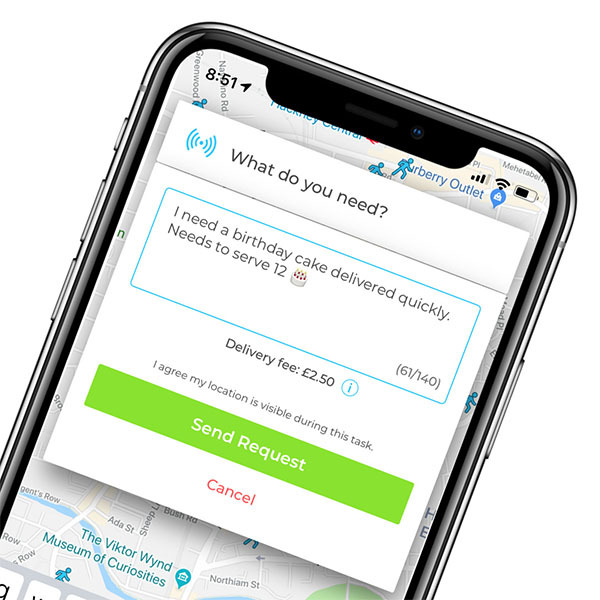 Perfect for a birthday, anniversary or another special occasion, you can now deliver those beautiful flowers in just 30 minutes using Pinga. You can truly make someone’s day in just a few taps, and the process really could not be any simpler! To get started, simply download the Pinga app. Describe the flowers that you would like and the delivery address. Your request will be met by one of our trusted Pinga Partners who will confirm your needs. From here you simply pay safely and securely through the app and everything will be taken care of! Every single one of our Pinga partners are tested extensively, meaning that every delivery goes off without a problem. Not only will your flowers be delivered quickly and conveniently, but they will also be delivered with a smile. Our service exists to make your life simpler and you can use it to make somebody truly happy. Best of all, you can use Pinga to order anything you like. Looking to send a cake or something else? No problem. We can also deliver whatever you want, whenever you need. Many happy users make the most of Pinga to deliver items from the supermarket, and even to take care of small tasks and save time. With Pinga, there is no minimum spend either. This means that you don’t have to worry about beefing up your purchase with things that you don’t need. Simply order whatever you need! Getting started with Pinga is simple and we can’t wait to have you on board. To help you get started today and deliver those wonderful flowers, here’s a closer look at our service and how everything works. Our team of Pinga Partners will deliver any Flowers to your door. Download the app, request your order and get it delivered in minutes.